Have you heard of a silver filling? Also known as amalgam, this type of filling has been a standard of care in many dental practices for decades. 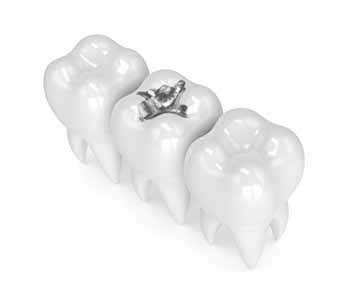 Amalgam fillings are made of a mixture of several metals including silver, tin, and mercury. As more and more research backs the potential harmful effects of mercury on the body, many dental practices are becoming mercury-safe. Being mercury-safe means that the practice is equipped to safely remove amalgam fillings and replace them with a biocompatible alternative. 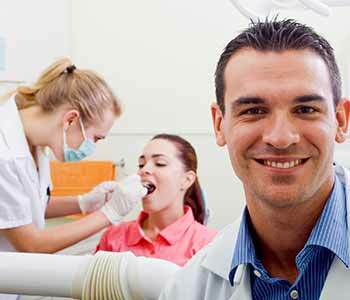 At Virtue Dental Care, we follow strict protocols for the removal of mercury fillings to ensure the safety of our patients and our staff. Individuals near Lexington-High Point who are interested in mercury-safe dentistry should call our office at 336-606-0040. Our goal is to improve the health of our patients. In the following article we will examine the dangers of mercury fillings, the benefits of mercury-safe dental care, and the mercury-safe removal practices we use. Like we mentioned earlier, amalgam was long considered the “go-to” solution for repairing damage from tooth decay. The mixture of metals was considered strong, long-lasting, and affordable. Mercury is used in the amalgam fillings as a binding agent for the mixture of metals. The problem is that mercury is a toxic substance that can be harmful when ingested in the body. This release of mercury vapors can occur when individuals bite, chew, or consume hot foods or beverages. In addition to toxicity, amalgam fillings will expand and contract with temperature changes, which can leave the tooth susceptible to micro-fractures. The filling is in a highly visible area and the patient is unhappy with the aesthetics of a silver filling. Beauty – Amalgam fillings are often very visible in the smile due to their silver color. Biocompatible fillings are matched to your natural tooth enamel, so the filling blends in. Strength – Biocompatible fillings are placed directly into the tooth and bind with the remaining tooth structure, making them durable and long lasting. Biocompatible fillings do not expand with temperature to the extent amalgam does. Conservative – Amalgam fillings require the removal of more natural tooth structure than biocompatible fillings require. Protection – Because biocompatible fillings bind with the tooth, they do not wear down. This allows them to protect the remaining structure of the tooth from bacteria buildup and additional decay. Their response to changes in temperature can lead to filling failure and future dental problems. The harmful mercury vapors can impact overall wellbeing and even increase the risk of certain medical conditions. The silver filling is very visible to others and can impact the beauty of the smile. The entire team at Virtue Dental Care loves sharing the benefits of mercury-safe dentistry. If you are near the Lexington-High Point area, please call us today at 336-606-0040 to learn more.